"Lynden's Green Initiative grew out of a depression era distaste for waste and a common sense desire to do what's right," says Coordinator Anna Deal. "Now, 10 years later, I am truly amazed at what we have accomplished together." The 10-year mark coincides with Lynden being named one of the top 75 Green Supply Chain partners for 2018 by Inbound Logistics magazine. It is Lynden's eighth award. "Lynden's operating companies have continued to invest in modern high efficiency equipment to increase payload and reduce idle time, work with drivers to improve driving habits, and to look for innovative ways to improve freight operations. These efforts have paid off with the steady and measurable improvement in our freight efficiency and reduced emissions," Anna explains. "We are doing more with less at all levels." Our new facilities are designed to be energy efficient and we continue to upgrade lighting and heating systems across companies. We have invested in over 60 separate energy efficiency projects which have saved nearly 1,900 metric tons of CO2, 3,535 MWh of electricity, and 4,430 MMbtu of natural gas annually. We have replaced our highest use propane forklifts with electric lifts leading to a 32% reduction in Lynden's small lift emissions. We have initiated recycling programs at each of the Lynden locations and, along with our Alaskans for Litter Prevention and Recycling (ALPAR) partners, backhaul recyclables free of charge from Alaskan communities to Seattle for recycling. Computer power saving software that automatically puts computers to "sleep" when not in use has reduced those energy costs by 20 percent. Lynden's Green and Fit Challenge rewards employees for alternative transportation in their work commute and fitness activities. "Although we have accomplished a great deal, we know there is more we can do," Anna says. "We recently encouraged all employees to provide feedback and ideas so we can keep the momentum going that we started 10 years ago. The Green Initiative was, and is, a company-wide effort. Our accomplishments are the results of the hard work, talent and passion of Lynden's highly dedicated employees." For the sixth consecutive year, the Lynden family of companies was named one of Inbound Logistics magazine's annual Top 100 3PLs and 75 Green Supply Chain Partners (G75). Lynden is profiled in the June issue of the magazine for "focusing its people, equipment, processes and technology on efficient use of resources and sustainable operations." The Top 100 3PL list appears in the July issue and singles Lynden out for providing excellence in transportation and logistics solutions and exceeding customer expectations. Both lists are compiled by surveying hundreds of supply chain professionals. "From recycling materials to updating fleets with the latest technology for mile-per-gallon gains, Green Supply Chain Partners like Lynden constantly innovate to work greener," says Felecia Stratton, Inbound Logistics Editor. Inbound Logistics' annual 75 Green Supply Chain Partners (G75) showcases the top 75 companies that demonstrate green best practices in their supply chain, logistics and transportation operations. Editors comb through submissions from companies with impressive green credentials and ultimately choose the G75 based on four benchmarks: measurable green results, sustainability innovation, continuous improvement and industry recognition. Lynden provides transportation, logistics and customs clearance for customers' supply chain needs in the U.S. and Canada, including warehousing, distribution, return programs and raw materials handling. The company was selected as a 3PL logistics leader for its collaborative partnerships with customers and innovative services. "We are proud to be included on these prestigious lists for the sixth consecutive year. Our employees have spent considerable time, thought and effort developing programs and processes that allow us to operate responsibly in the environments where we do business and this award is proof that our efforts are working," says Lynden President Jon Burdick. "We are also proud of our ongoing status as a top 3PL and will continue to partner with our customers to find cost-effective, innovative solutions for their supply chain, transportation and logistics needs." Inbound Logistics is the leading trade magazine for business logistics and supply chain managers. The magazine's editorial mission is to help companies of all sizes better manage corporate resources by speeding and reducing inventory and supporting infrastructure. Lynden Transport was the first Alaska-based transportation company to join the EPA's SmartWay partnership in 2008 followed by Lynden companies Milky Way, LTI, Inc., Brown Line and Alaska West Express. LTI, Inc. is a recipient of multiple SmartWay Excellence Awards, and Lynden was Alaska's first trucking company to earn recognition by Alaska's Green Star program for environmental stewardship. Lynden's environmental policy calls for meeting or exceeding environmental regulations, maximizing fuel efficiency, and monitoring and guarding against accidents, emissions and avoidable pollution. For the fifth consecutive year, the Lynden family of companies was named one of Inbound Logistics magazine’s annual Top 100 3PLs and 75 Green Supply Chain Partners. Lynden is profiled in the June issue of the magazine for “demonstrating its commitment to the environment and the global community year after year.” The Top 100 3PL list appears in the July issue and focuses on companies who are exceeding in meeting customers’ logistics needs. “If you want your carbon footprint to be as small as possible, and your business to be sustainable, make sure you are doing business with supply chain partners like Lynden who are at the head of the pack,” says Felecia Stratton, Inbound Logistics Editor. Both lists are compiled by surveys and polls of supply chain professionals. Inbound Logistics’ annual 75 Green Supply Chain Partners (G75) showcases the top 75 companies that demonstrate green best practices in their supply chain, logistics and transportation operations. Editors examine corporate sustainability initiatives, collaborative customer-driven projects, and participation in public-private partnerships, then choose the G75 based on four benchmarks: Measurable green results, sustainability innovation, continuous improvement and industry recognition. 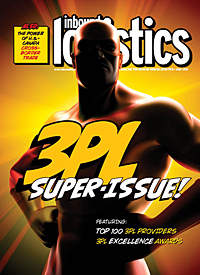 The Top 100 3PL Providers list is the result of editors soliciting questionnaires from hundreds of 3PLs, detailing the services they provide and their expertise in warehousing, web services and vendor management. Lynden provides transportation, logistics and customs clearance for customers’ supply chain needs in the U.S. and Canada, including warehousing, distribution, return programs and raw materials handling. “This ongoing recognition from our customers reinforces Lynden’s commitment to operate cost-effectively and efficiently while reducing the environmental impact where we do business. We are proud of our track record as a ‘green’ company and a leader among 3PL and we will continue to pioneer innovative solutions for our customers while offering the Lynden brand of outstanding customer service,” says Lynden President and CEO Jon Burdick. Lynden Transport was the first Alaska-based transportation company to join the EPA’s SmartWay partnership in 2008 followed by Lynden companies Milky Way, LTI, Inc., Brown Line and Alaska West Express. LTI, Inc. has received a SmartWay Excellence Award for the past two years. Lynden was recognized by Alaska’s Green Star program for environmental stewardship beginning in 2009, becoming Alaska’s first trucking company to earn the award. Lynden’s environmental policy calls for meeting or exceeding environmental regulations, maximizing fuel efficiency, and monitoring and guarding against accidents, emissions and avoidable pollution. The Lynden family of companies was once again included in Inbound Logistics magazine’s annual Top 100 3PLs and 75 Green Supply Chain Partner lists. Lynden is profiled in the June issue of the magazine for “meeting and exceeding environmental regulations, maximizing fuel efficiency and monitoring and guarding against accidents, emissions and avoidable pollution.” The Top 100 3PL list appears in the July issue. The lists are compiled by surveys and polls of supply chain professionals. The Top 100 3PL Providers list is the result of editors soliciting questionnaires from more than 400 3PLs, detailing the services they provide and their areas of expertise such as warehousing capabilities, web services and vendor management. “Companies like Lynden lead by example, demonstrating excellence and measurable progress each year,” says Felecia Stratton, Inbound Logistics Editor. Inbound Logistics is the leading trade magazine targeted toward business logistics and supply chain managers. The magazine's editorial mission is to help companies of all sizes better manage corporate resources by speeding and reducing inventory, supporting infrastructure and better matching demand signals to supply lines. Lynden Transport was the first Alaska-based transportation company to join the EPA’s SmartWay partnership in 2008 followed by Lynden companies Milky Way, LTI, Inc. and Brown Line last year. Lynden earned the Green Star Award for environmental stewardship in Alaska in 2009. Lynden’s environmental policy calls for meeting or exceeding environmental regulations, maximizing fuel efficiency and monitoring and guarding against accidents, emissions and avoidable pollution. "Lynden Transport and the other carriers on our list earned recognition for serving customers safely and efficiently," says Inbound Logistics Editor Felecia Stratton. "We conduct surveys and online research and talk with truckers and shippers to come up with the Top 100 each year. It is a trusted resource for transportation buyers to find new trucking providers or to evaluate current transportation partners." "Being recognized for working safely and productively while providing quality service is a great testament to our employees' dedication to our day-to-day duties," says Lynden Transport President Paul Grimaldi. "We are honored to be included as one of the Top 100 Motor Freight Carriers in the U.S."
This award is the latest of several the Lynden family of companies received this year. Lynden was chosen as one of the Top 100 third-party logistics service providers (3PLs) and as a Green Supply Chain Partner by Inbound Logistics magazine earlier this year. Lynden Transport was also voted the No. 1 Less-than-Truckload (LTL) carrier for on-time performance for the Western Region in Logistics Management magazine's annual Quest for Quality Awards. The Lynden family of companies was included in Inbound Logistics magazine's annual Top 100 3PLs and 75 Green Supply Chain Partner lists for 2013. Lynden is profiled in the June "lean and green" issue of the magazine, and the Top 100 list appears in the July issue. The lists are compiled by surveys and polls of 3PLs and supply chain professionals. The Top 100 3PL Providers list is the result of editors soliciting questionnaires from more than 400 3PLs, detailing the services they provide and their areas of expertise. "Hundreds of companies submitted credentials again this year, presenting a difficult challenge for the editors to select only 100 3PL leaders among them," says Felecia Stratton, Inbound Logistics Editor. 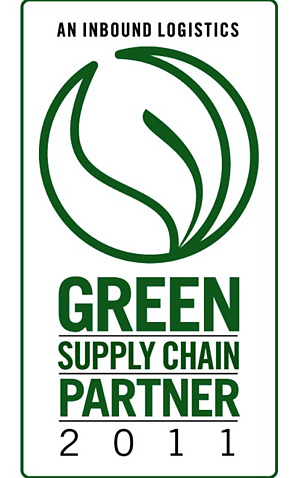 The Green Supply Chain Partner selection considers a company's involvement in three areas: participation in public-private partnerships, corporate sustainability initiatives and collaborative customer-driven projects. According to the magazine, "Lynden's truck fleet is among the most fuel-efficient in the nation based on the EPA's SmartWay program criteria. The company has continued to improve its equipment with more efficient engines; aerodynamic side skirts, tanker, and trailer design; wide-base single tires; and idle-reduction equipment. The improved use of routing software has similarly improved fuel savings, as well as on-time delivery." "It's an honor to be included in Inbound Logistics' annual lists year after year," says Lynden President and CEO Jon Burdick. "At Lynden, we foster a culture of customer service, innovation and efficiency with a focus on protecting the environments where we do business. Both the 3PL and G75 designations make us proud of the work we are doing and the employees who provide excellent service to our customers every day." Lynden Transport was the first Alaska-based transportation company to join the EPA's SmartWay partnership in 2008 followed by Lynden companies Milky Way, LTI, Inc. and Brown Line last year. Lynden earned the Green Star Award for environmental stewardship in Alaska in 2009. Lynden's environmental policy calls for meeting or exceeding environmental regulations, maximizing fuel efficiency and monitoring and guarding against accidents, emissions and avoidable pollution. The Lynden family of companies' combined capabilities include: truckload and less-than-truckload freight to Alaska, scheduled and charter barges, rail barges, intermodal bulk chemical hauls, scheduled and chartered air freighters, domestic and international shipping via air and ocean forwarding, customs brokerage, trade show shipping, remote site construction, sanitary bulk commodities hauling and multimodal logistics. Lynden Transport was selected as one of the top national motor carriers by Inbound Logistics magazine and included in its annual Top 100 Motor Freight Carriers list. This year was particularly challenging for the editorial staff as they had to select 100 trucking leaders from more than 250 companies that submitted their credentials. The Top 100 list appears in the September issue of Inbound Logistics. "The Top 100 Motor Carriers list is a good place for transportation buyers to shift gears, slow down, and take a look at a group of truckers that are paving the road for innovation," explains Inbound Logistics magazine Editor Felecia Stratton . "We pared this year's roster from a huge pool of companies, evaluating surveys, conducting online research, and talking with truckers and shippers. Readers use this directory to find carrier partners that will put their company in the driver's seat." "Being named a top motor carrier is a direct result of our drivers' and employees' dedication to customer service, safety and on-time performance," says Lynden Transport President Jim Beck . "It is an honor to be included on the list and reinforces our commitment to provide the highest level of service to our customers throughout the U.S."
This award is the latest of several the Lynden family of companies received this year. Lynden was chosen as one of the Top 100 third-party logistics service providers (3PLs) and as a Green Supply Chain Partner by Inbound Logistics magazine. The company was also named one of the 100 Greatest Supply Chain Partners for 2012 by SupplyChainBrain magazine and as one of Transport Topics' Top 100 For-Hire Truck Carriers. Earlier this summer, Lynden Transport was voted the No. 1 Less-than-Truckload (LTL) carrier for the Western Region in Logistics Management magazine's annual Quest for Quality Awards. The Lynden family of companies was named to Inbound Logistics’ 2011 Green Supply Chain Partners list for its commitment to the environment. The list appeared in an issue of Inbound Logistics magazine in late 2011. "The companies selected as this year's 75 Green Supply Chain Partners have a long-standing history of efficiency and an internal commitment to be as lean and green as possible," says Felecia Stratton, Inbound Logistics Editor. According to Lynden Inc. Executive Vice President of Operations Alex McKallor, Lynden’s culture of innovation and efficiency is completely in harmony with protecting the environment. “Lynden’s people, equipment, processes and technology are focused on the efficient use of resources and sustainable operations. Better fuel economy, better routes and higher payloads together have greatly reduced our fuel consumption per ton of freight moved while at the same time providing our customers with improved service,” he says. Lynden Transport was selected as an Inbound Logistics Top 100 Motor Freight Carrier for 2010. This year was particularly challenging for the editorial staff as they had to select 100 trucking leaders from more than 250 companies that submitted their credentials. The Top 100 list appeared in the September issue of Inbound Logistics. Lynden Transport was also recently voted the Top LTL Carrier for the Western Region by Logistics Management magazine. 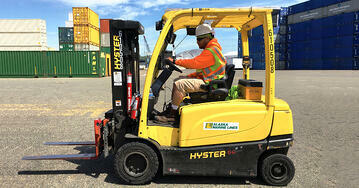 Lynden Transport is an industry leader in trucking to Alaska, from Alaska and within Alaska, as well as the Lower 48. Lynden has been named the 7th top business in Alaska by Alaska Business Monthly.